Who here loves their Red Robin’s burgers and is ready for a copycat recipe of one of their most beloved? 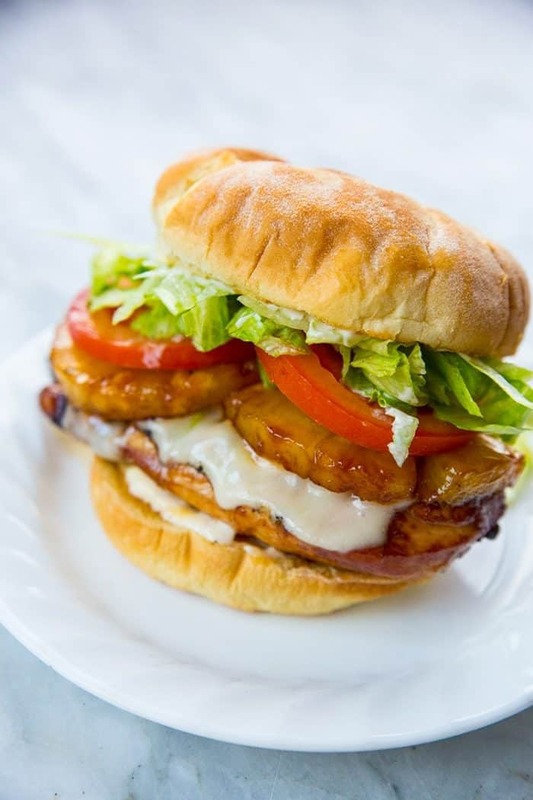 I’d love to introduce you to the best burger I ate ALL summer, my new Copy Cat Red Robin’s Teriyaki Chicken Burger recipe! I have a confession to make. I have eaten at Red Robin’s ONCE in 2016, when I was doing my cookbook tour here in Edmonton and my “book sherpa” was here in Edmonton. 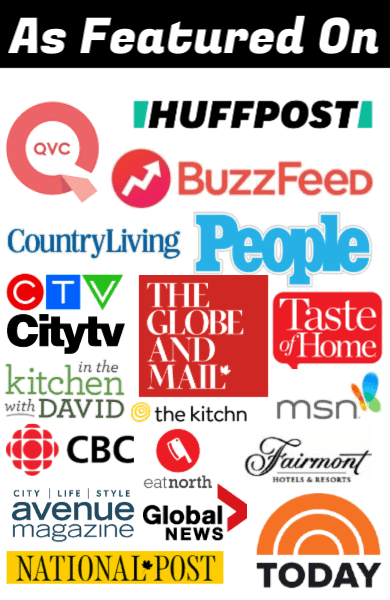 A book sherpa is the guy or gal that arrives the first thing in the morning and takes you to all your TV appearances, your radio/media appearances, book signings, etc, on one or two big days when you are promoting your new book. 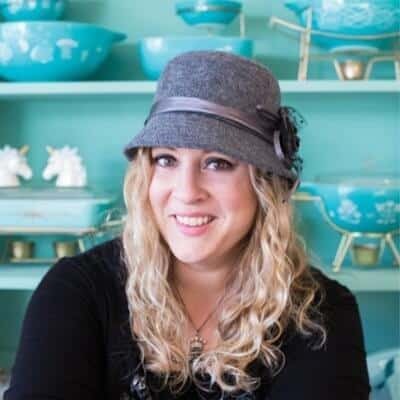 It’s a glorious day, when you get a food stylist that preps all the recipes for your TV shows, you are chauffeured around like a queen and get taken out for lunch. You generally get a sherpa in each city that you attend on your book tour. Basically, your book sherpa ruins you for life. I want a book sherpa every day of my life, please and thanks. The lovely lady that was my book sherpa here in Edmonton LOVES Red Robin’s. We were waiting to head down to CBC radio to do a segment and had a break for lunch somewhere close to downtown Edmonton and she suggested Red Robin’s because she loved the burgers. I was game, because I had heard about how much people LOVE Red Robin’s burgers. Like, it’s a CULT of burger love, you guys, a real thing, so I was in. And I had the chicken burger. I liked it. However the problem with being a food blogger is that you always eat something and then think hmmm…. I can make this at home. And I did. And it was AMAZING. And it was the best chicken burger I have ever eaten at home. All thanks to my book sherpa’s favourite restaurant that I can now give you these glorious, delicious, must-make Copy Cat Red Robin’s Teriyaki Chicken Burgers! If you guys make one last burger on the grill before summer is out, make these. I know that we Canadian’s don’t ever actually stop barbecuing in the winter, so actually this burger would be stellar in the middle of winter. Oh, the tangy tropical flavours would be even better in winter! Try my Greek Pasta Salad, it’s healthy, fresh and fast! A creamy Tex-Mex Corn Salad is always a good idea! So who here is a Red Robin’s fan? I know you are out there, in droves upon droves. I think that I’ll be trying my hand at a few more copycat burgers of theirs, so stay tuned! Pin this recipe to your Burgers or BBQ Board and Remember to FOLLOW ME ON PINTEREST! 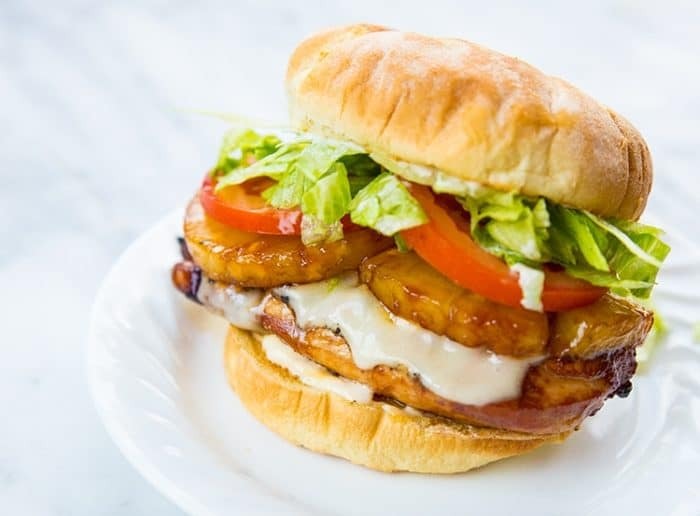 This tropical teriyaki chicken burger is just like the one from my favourite restaurant! 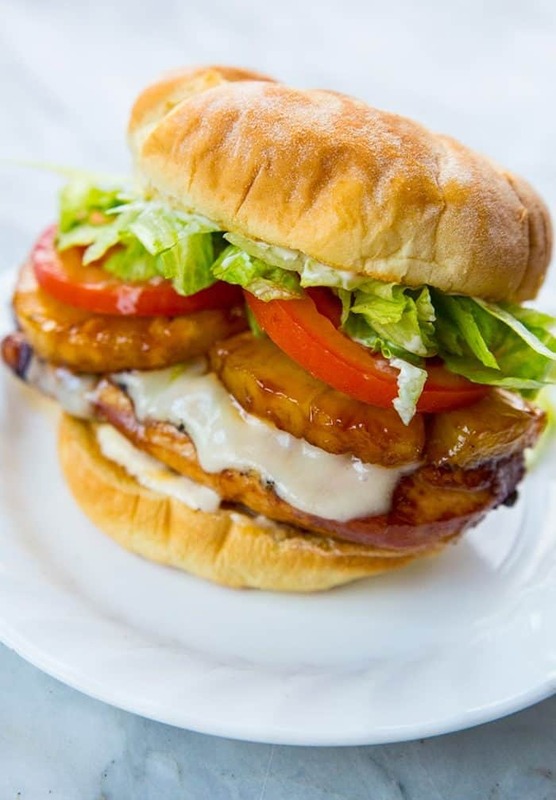 This is the perfect chicken burger! Place plastic wrap on top of each chicken breast and pound on it with a kitchen mallet until it is about 1/2-inch thick. It doesn't matter if it's a little larger than your bun, it shrinks while cooking. Place the chicken breasts in a sealed container, and the pineapple slices in another. Divide the teriyaki marinade between the two, covering each with enough teriyaki marinade. Refrigerate for 4-6 hours. Starting this in the morning is perfect. Pre-heat your grill or BBQ to medium-high heat. Place the chicken on the lower rack of your BBQ grill. Grill for around 6-7 minutes per side. Around 3/4 of the way through, add the pineapple slices to the top rack of your BBQ if you have one. They tend to not burn up on this level. When the chicken is cooked and the pineapple are warm and have grill marks, place a Swiss cheese slice on each chicken breast to melt. If you desire, toast your hamburger buns now. Slather the mayo on the buns, then place the chicken breast on the bottom bun. Place 2 tomato slices, followed by 2 pineapple slices on each chicken breast, followed by the shredded lettuce and the bun top.